Giving Back Around the Globe. Imagine having the opportunity to deliver the world to travelers driven by wanderlust. That’s exactly what we do and boy, is it exciting! But that’s not all. Being a leader in travel might be enough for some companies. We’re not one of them. The Globus family of brands is also invested in giving back. We don’t simply want to show travelers the most spectacular destinations and sights – we’re taking responsibility for their preservation. When you go with us, you also give back. Learn more here. In addition to all that we do, company-wide, many of our associates also have a passion for volunteering. Together, we have supported our community, including sponsoring a Make-A-Wish kickball team, hosting a cleanup day at Red Rocks, donating presents to local families during the holidays and many of our team members participate in Denver’s Bike to Work Day. Globus maintains a policy of “Leave Only Footprints and Take Only Photos.” Our staff and major service providers strive to ensure that no removal of any natural or cultural artifacts or materials to ensure our environment looks and functions the same before and after our visit. Our Tour Directors educate passengers on our “do no harm” code of conduct to ensure that the passengers comply. The Globus family of brands is dedicated to sustainable tourism. In 2012, we were honored with the distinguished Sustainable Tourism Education Program™ (STEP) Bronze Certification. 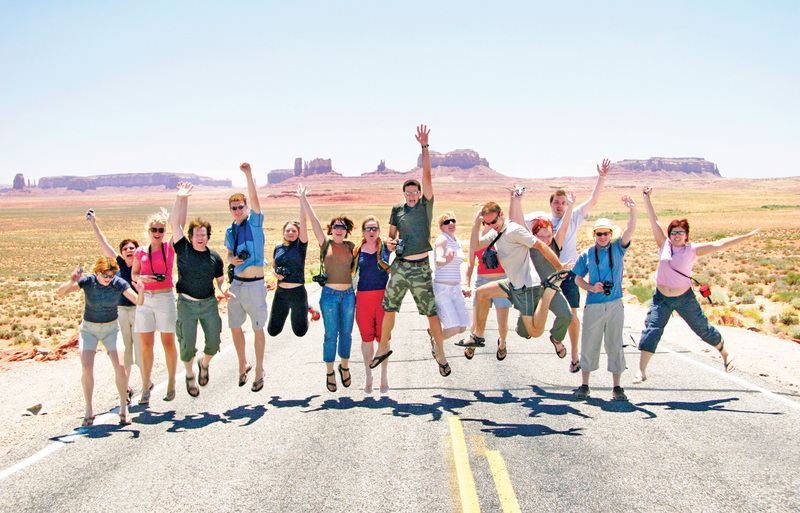 This certification was a flagship program of Sustainable Travel International. A gold standard in sustainable business management, STEP was among the first global standards to be formally recognized by the Global Sustainable Tourism Council (GSTC), and Globus is the first major tour operator to receive the certification. 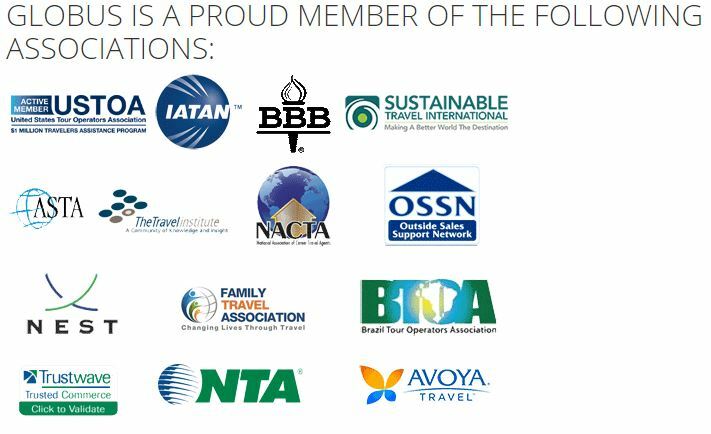 The Globus family of brands has been a member of the Sustainable Travel Leadership Network (STLN) since 2012. Some touring companies may be content with just escorting their passengers to the world’s most famous sights, and consider their work done at the end of a tour. Not us. After more than 90 years of showing travelers like you the world, we never take for granted the priceless landmarks and landscapes we share with you. Our commitment to help protect these treasure for generations to come is the reason we partner with Tourism Cares — established by the United States Tour Operators Association (USTOA). Our dedication to help fund the preservation and restoration of historic sites and breathtaking sights is focused on Globus’ “Travelers Icons” listed here. To help ensure these treasures are here for future generations, you can learn more at www.tourismcares.org. Our partnership with Tourism Cares, established by the United States Tour Operators Association (USTOA), helps us show off the world’s most spectacular destinations and sights—and take responsibility to preserve the attractions that our travelers go to great lengths to experience. Globus has targeted a number of iconic destinations for preservation/restoration funding. Our passengers can also get involved directly through additional contributions. Globus, a respected international tour operator, brings thousands of visitors to outstanding natural and historic parks and landscapes throughout the world. Globus is continuing to direct its participation with Tourism Cares to several of the great attractions in the United States and South America with projects focusing on restoring and preserving, and in Asia with projects supporting child safety awareness. As of December 2017, Globus has matched $7,820.00 in donations to Tourism Cares. Globus supported five projects in 2019 through the American Icons Globus Special Grant Program. Redwoods National Parks Conservancy – California. 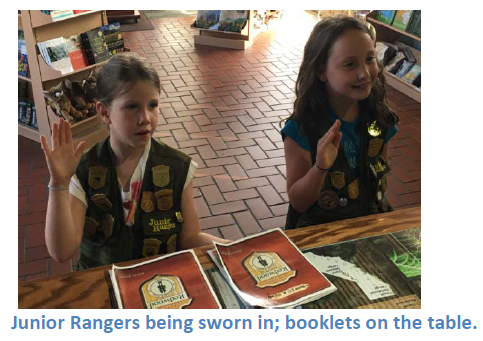 Purpose: Provide additional Junior Ranger booklets and badges to augment the supply purchased by the National Park Servic e at Redwood National and State Parks. As a result, visitor centers will not run out of Junior Ranger materials, maximizing the amount of children who are able to benefit from this free educational program. “We would have certainly run out of materials by August without the Globus grant money. So a VERY big thank you!”- Joanna Di Tommasso, Redwoods Park Conservancy. Kenai Fjords National Park – Alaska. Purpose: Visitor Center Plaza project; Support the construction and installation of an Americans for Disabilities Act compliant plaza access into Kenai Fjords Visitor Center in Seward, Alaska. Progress: The Visitor Center renovation is in progress. The building is being expanded to allow for elevator installation which will provide greater accessibility. Next, the maintenance components will be installed, which includes the deck, ramp, gabion wall, and finally graveling of the courtyard. 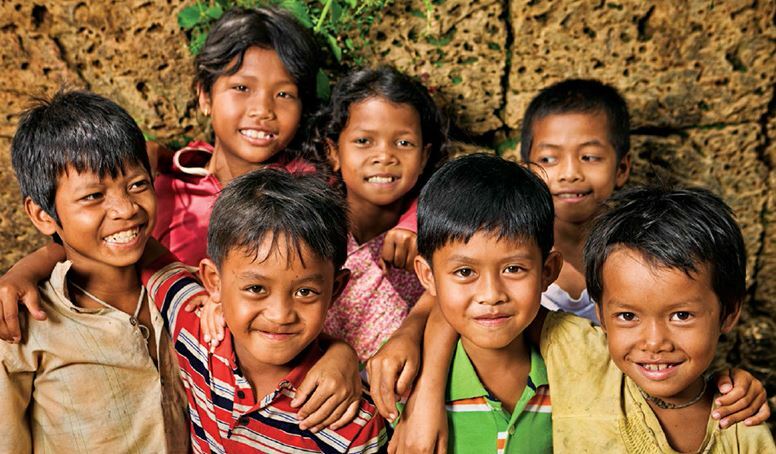 Friends International- ChildSafe – Siem Reap, Cambodia. Purpose: To provide training and promotional materials for ChildSafe Agents and salaries of ChildSafe social workers responding to child abuse, through Friends International. As a result, there will be protective and safe urban environments for marginalized children through ChildSafe Agents, Citizens, and a hotline. The Mountain Institute – Peru. Purpose: To develop a new community-based tourism product- a trek on a section of the Great Inca Trail. Plan and create collateral materials and products that increase benefits to, and cultural affirmation of, the community of Raqchi. Yellowstone Forever – Wyoming, Montana, Idaho, USA. Purpose: To partner with Yellowstone National Park to create opportunities for all people to experience, enhance, and preserve Yellowstone through educational programs, products, and services. To help people enjoy, understand, and appreciate the wildlife, geology, and cultural history of the park. 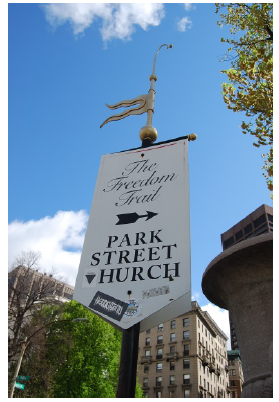 To provide opportunities for volunteerism and community relations to develop and engage new stewards for the park. A specific program targets the protection of a vital natural component of the Yellowstone ecosystem – the Yellowstone Cutthroat Trout – a critical part of the park’s native fish population, directly affecting the survival of other species, as well as the continued enjoyment of anglers who visit the park across generations. Tourism Cares is a group of leading travel related companies that help out with areas affected by natural disasters. The first Tourism Cares event of 2018 was held on May 11 in Florida. There were over 160 participants from many different companies. Although a participant in many GVI clean-up events, this was my first “Tourism Cares” event. I was fortunate to be selected to participate in this event in The Florida Keys area. The purpose was to mitigate some of the damage left by hurricane Irma last year. Although most businesses and areas along the main highway show no evidence of the disaster, once you get back into the neighborhoods the damage is quite clear. The event started with a group get-together and registration the evening of Thursday, May 9. At the event I met our BDMs for South Florida and Puerto Rico who handles our hotel contracts for North and South America. The Globus family was well represented. It was abundantly clear that this was an event where there were no competing suppliers, providers or status in a company; it was just a group of people out to do some good. Friday morning we all met at 7:30 a.m. at the meeting point to get our assignments and have a pep and logistics talk. We also picked up a hardy lunch for which we would be very grateful later on. There were going to be groups picking up trash, and a couple groups such as the one to which we were assigned for Habitat for Humanity. We rode a half hour to a neighborhood where it seemed every other lot was empty or had a condemned house due to damage from Irma. Apparently, many just decided to abandon their homes as they were unable to afford the price of rebuilding. It was sad to see just how much devastation remained even 8 months after the hurricane. The house we worked on was about 100 yards from the ocean side of the key and the owner was doing everything possible to save his home. Our part in the rebuilding process was to hang drywall and spackle over the nails and joints. It was tedious work but the difference at the end of the day was amazing and the smile on the owners face was priceless. Afterwards the groups rejoined at the hotel to share stories and revel in what had been accomplished. It was a very satisfying feeling to be a part of this group. 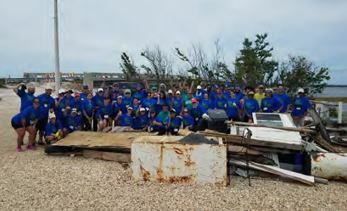 The follow up impact report showed that approximately 4 months of work was accomplished at the Habitat sites and 20,960 pounds of trash and other debris was pulled from No Name Key. 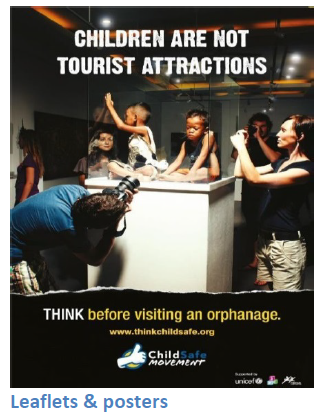 Tourism Cares, GVI Cares, we should all care. So if you have an opportunity to participate in this or a similar effort I highly recommend it! It’ll be something you will be proud of and never forget. We are a proud sponsor of the Make-A-Wish Foundation. Through Make-A-Wish, we provide free vacations and offer discounted travel packages to help grant wishes to seriously ill children nationwide. With Monograms, wish families can rekindle and reconnect on incredible journeys to destinations in Europe and South America. So far, we have helped hundreds of Make-A-Wish family members realize their dreams. Through Monograms we have now granted over 200 wishes! Over the past 10 years, we have been honored to assist Make-A-Wish® in granting the international travel wishes of children battling critical illnesses. Bringing families together to experience some of the world’s most remarkable destinations is what we do best. We are honored to help make the wishes of equally remarkable children come to life. Our associates are also personally involved in the “give back” action. As part of an internal, associate program called “Hunger on the Move,” Globus family’s team members were asked to turn calories burned into nutritional calories for malnourished babies. For every 15,000 calories burned, they saved a baby’s life in Kenya or Myanmar. Kailyan Mith program Siem Reap; part of the ChildSafe Network- Visiting Cambodia can be a life-changing experience. Two things that visitors remember are the amazing archaeological treasures and the Cambodian people. Their warm, friendly personalities truly leave a lasting impression-as do their touching stories. Today, there is no story more important to tell than the growing number of children living in poverty. To respond to these challenges, Globus, in partnership with Tourism Cares, is proud to help fund the ChildSafe Network. Initiated by Friends-International, this powerful, proven program enlists the tourism community, both local and internatio nal, to support the welfare, advancement, and safety of children. To celebrate the 2018 Exotics launch our employees received a new Landmine Design bracelet. Globus is excited to be partnering with Landmine Design for the 2nd year in a row. Last year we ordered over 14,000 bracelets and because of our order alone, Landmine Design was able to hire 12 women full time in the tiny Cambodian village. This program allows these ladies to earn a living while staying close to their families. They also learn new skills such as budgeting and community leadership. We are thrilled to report that our 2017 order has provided the opportunity for the 12 women to stay on full time AND another 3 ladies have been hired! The Globus family is proud to empower and support these women by designating our promotional product dollars towards a higher purpose. Our hope is this program serves as an example for individuals and other companies that small changes can make an enormous impact – all the way across the world. America’s national parks boast some of the most majestic scenery in the world. The Globus family of brands is proud to partner with the Wildland Firefighter Foundation to support the brave firefighters who protect our private and public lands from wildfires. We make a contribution to the Wildland Firefighter Foundation for every traveler we bring on a GoParks!Tour, at no additional cost to our guests. It’s our way of recognizing and honoring our nation’s wildland firefighters and their heroic efforts to preserve our national treasures. 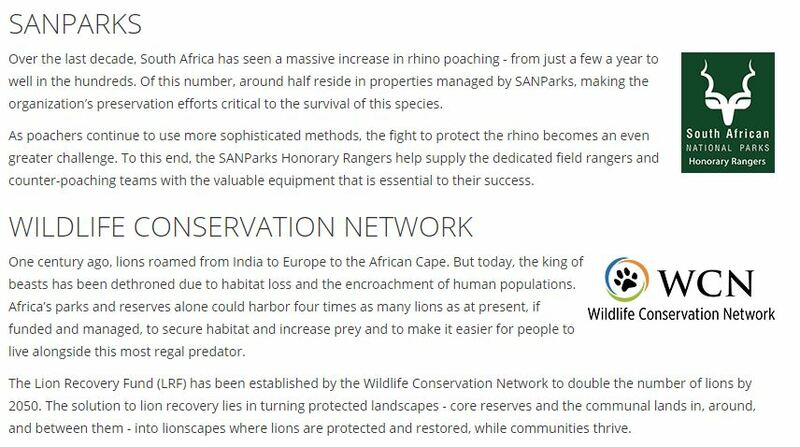 Another amazing “give back” opportunity the Globus family of brands supports is the “Honorary Rangers” program, in which we make a contribution to the South African National Parks Honorary Rangers to help efforts to protect and save the Rhinos against poaching. It’s always the season for giving. Here at the Globus family of brands, we strive to help families in need. For the past 10 years, we have collaborated with organizations to make a difference with families that need help over the holidays. Our employees “adopt” members of the families and fulfill their wish lists. Whether it is a new bike, winter jacket, sheets, dishes, or toys to brighten a child’s holiday, our employees deliver.